you're so gentle akasha2411 ! I know I know, it's not the time for royals to buy new bling, but an auction piece is always kinda second-hand no? 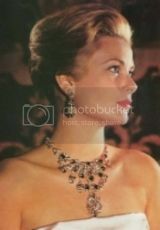 http://www.bonhams.com/auctions/19760/lot/127/?page_anchor=MR1_page_lots%3D13%26MR1_results_per_page%3D10%26MR1_module_instance_reference%3D1 I don't think she has many opal pieces so..
http://www.bonhams.com/auctions/19760/lot/154/?page_anchor=MR1_page_lots%3D16%26MR1_results_per_page%3D10%26MR1_module_instance_reference%3D1 There's a reason boucheron have the royal seal. http://www.bonhams.com/auctions/19760/lot/303/?page_anchor=MR1_page_lots%3D31%26MR1_results_per_page%3D10%26MR1_module_instance_reference%3D1 I'm not a fan of ruby's (they clash badly with my copper blond hair) but this one is a stunner! ohh found an other one goody! Just click the catalogue and start drooling! Ah man what stunning pieces! https://dupuis.ca/Item.jsp?q=&search=true&auctionid=61&page=7&Item_Id=13482 hmm don't like it that much but look at the price they got for it! it's an old Cartier piece.. I'm in heaven - such beautiful pieces - thanks for posting them! The dazzling tiara worn by the Duchess of Cambridge on her wedding day to Prince William is to go on display in Paris for the next two months. 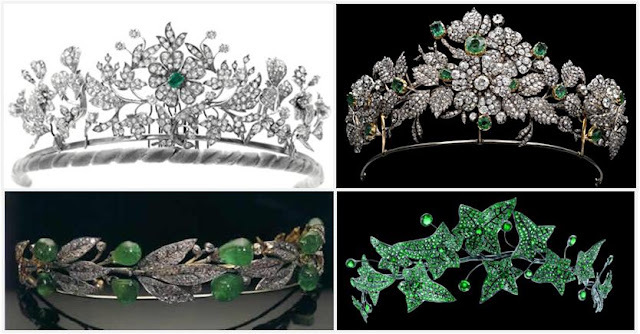 The halo tiara, which was designed by Cartier, will take pride of place at an exhibition celebrating the style and history of the iconic jewellers. The head piece, composed of stylised petals and paved with 739 brilliant-cut diamonds and 149 baguette-cut diamonds, takes its name from its halo shape and was made in 1936. Interesting - DM showing no comments on the article, but then is says DM no longer accepting comments on this article. Can we assume comments were not favourable to wasty? Didn't think I would see the scroll tiara again. And I didn't manage to see it close up so.. for Paris!